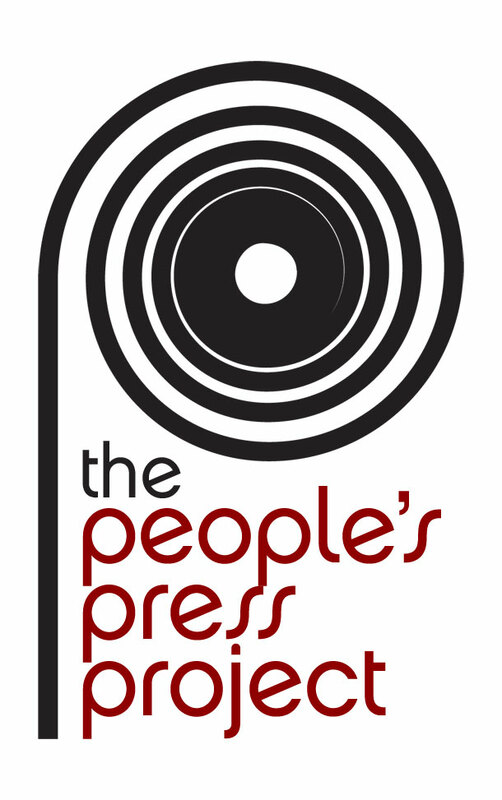 The People’s Press Project is Dedicated to Communication Rights and Media Justice! PPP is Fargo-Moorhead’s only non-profit dedicated to empowering the community to impart media, rather than being consumers of media. We stand for the development and proliferation of Independent Media and the creation of new community based journalists to inform the community of the real news by the people and for the people. We do this through training, access to equipment and strategic opportunities to develop media through Independent news sources, Social Networks and through the web. 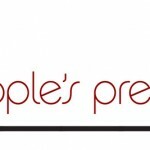 The People’s Press Project (also Known as PPP) was formed exclusively for charitable and educational purposes. Specifically, the People’s Press Project holds trainings that provide opportunities for disenfranchised communities, students, and new journalists to develop media skills. The PPP has a major educational initiative that centers on communication rights, Net Neutrality and Universal Broadband access. Training people in media skills increases access to media for the public and teaches people about their communication rights and empowers them to exercise them. The PPP was created in May 2010 to address media justice issues of access and equity in rural ND and MN. The PPP is located in Moorhead on the Border of Minnesota and North Dakota in the region known as the Fargo-Moorhead (F-M) community. With the sharp decline in print media, the change over to DTV, and the increase of online media, the PPP seeks to level the playing field for all community members to access media and be not just consumers of media but producers of media. The PPP was created by a dedicated group of individuals with a background in media, communications, organizing, and social justice issues. The PPP is currently run by a dedicated group of volunteers and a working board. As the organization has gained support and recognition for its charitable and education work in the community, we hope to draw a greater base of funders and members to support the organization financially for the long term. At that time, the PPP plans to hire a permanent Executive Director and hire staff to expand programming. Hires will be made by review and vote of the board of directors and the current leadership of the PPP. The PPP’s media networks give us the opportunity to work in audio, video, and print media. A variety of non-profits, artists, colleges, and media outlets have lent their leadership, volunteers, equipment, and media sources to the PPP’s efforts to help provide the community with as real live media experiences as possible. Among them have been The Main Street Project, Mag-Net, Peace Talk Radio, Moorhead Community Access Media (MCAM), Fargo Access Television , and the High Plains Reader. These media partnerships not only allow us to spread program and activity information to the public, but also give our trainees the invaluable experience of learning about media justice while working with real media. Example of Photo Cast of First Link’ s Walk of Hope for suicide awareness and remembrance. Media Justice, Analysis, and Equality Project – Build an appreciation for media access and rights in every individual. Four trainings were conducted since May of 2010 and were conducted by volunteers in public settings and open to the general public. These set of trainings were developed with assistance from The Main Street Project and in conjunction with other media justice organizations (Mag-Net, Free Press, and Consumer’s Union) and a foundation in the basic principles of communication rights expressed in the United Nations Declaration of Human Rights as well as embodied in the 1st Amendment rights conferred to all through the Constitution of the United States of America. The trainings are designed to educate, inform, and empower the people in the community to have greater access to media and teach them to highlight the issues important to them and on how to access media to tell their stories. This empowerment will elevated disenfranchised communities ability to become more engaged in the community by giving them greater access to local democracy and assist them in reaching their full participation. Also, this project will train individuals to attract media attention, create and define media, and use media technology. These changes in infrastructure and knowledge base will have cumulative effects in the community in creating opportunity, access, accountability. Media Skills Capacity Project: Building technology skills in new media and software that expand access to media and a greater exercise of individual communication rights. In the age of online banking, webinars, and Skype video conferences, the technological knowledge divide disenfranchises many from basic access to stable finances, education, employment and communication. PPP’s training in new media works to bridge the divide by providing training in use of equipment, and online software and tools that are readily available easily, and cheaply or free of charge. A cornerstone to creating greater access is skill building with the tools of media: document sharing, audio and video recording/editing, broadcasting and storage software, etc. The PPP, with the help of other local non-profits, colleges, and media justice organizations has developed hands on trainings that build capacity in the average citizen to create a variety of media and publish or broadcast their communications. These changes in infrastructure and knowledge base will have cumulative effects in the community in creating opportunity, access, accountability and will help shift systemic racism and economic injustice. Internship and Volunteer Project: Giving community members opportunities to learn media skills and participation in real working media. The PPP has structured internships and media training opportunities for volunteers and interns in real media settings. This allows a real experience of effects and outcomes of contacts with real media and allows for critical analysis of best practices. Interns and volunteers gain a variety of skills opportunities including hands on training in production and broadcast of podcasts, production and broadcast of governmental meeting for cable access, production of a newspaper, marketing and public relations, writing assignments, and more. These real life experiences also allow trainees from the Media Justice and Media Expansion trainings to utilize new skills. Remaining funding of $1000 will be used for the costs of this internship program. The PPP is run entirely by a working board, and dedicated volunteers. PPP’s office and meeting spaces, have up until now, been borrowed or rented at libraries, colleges, and other local non-profits. Recently, in addition to its headquarters in Minnesota, the PPP has acquired donated office space located at 124 N. 8th St.; Fargo, ND 58013, which is open to the public Monday through Friday during normal office hours. The space itself is donated by the newspaper, High Plains Reader, our strongest media partner in offering the PPP members and volunteers media training opportunities. By offering educational trainings, mentoring, media skill development, social media experience as well as a media equipment education, presentations, and reports on government meetings through our Social Networking site on Facebook, and our articles published in area news publications as well as the High Plains Reader under the column heading “.GOV”, the People’s Press Project is training and educating the public on subjects useful to the individual and beneficial to the community at large.